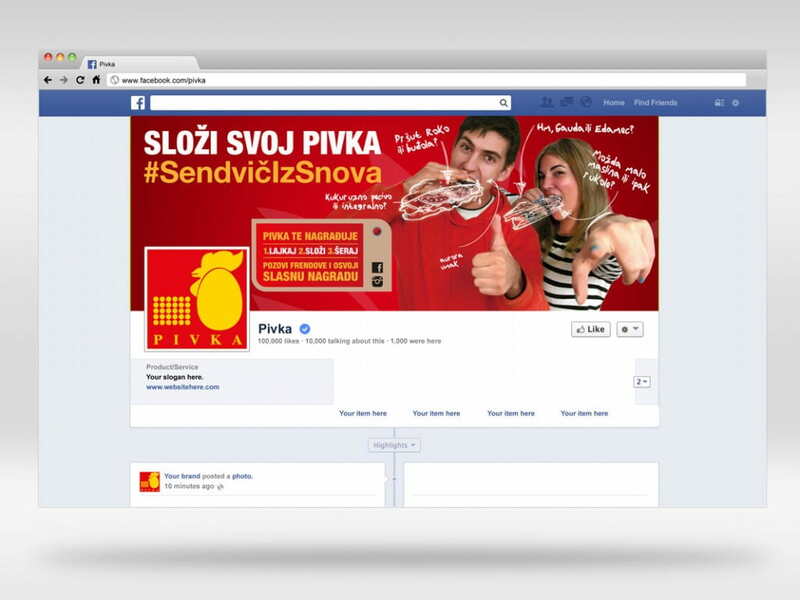 For our client Pivka d.o.o. 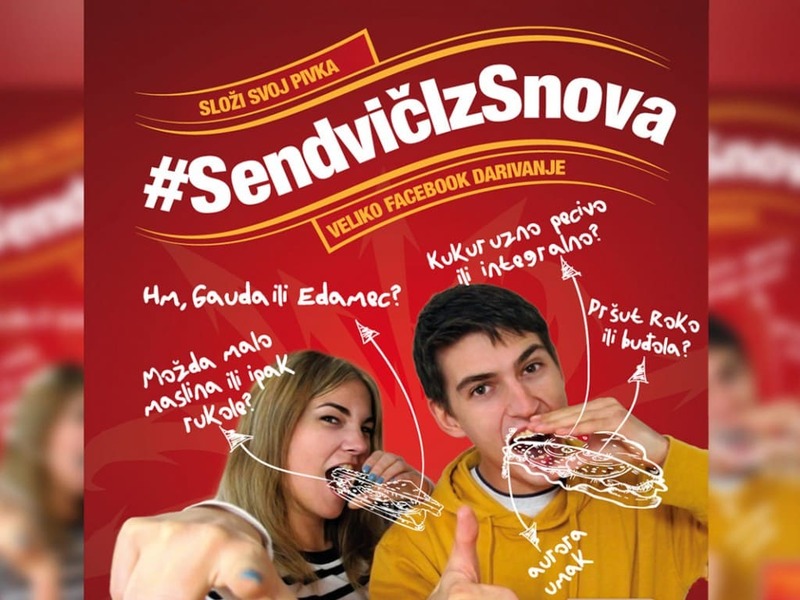 we have created an interesting campaign on the social network for Facebook giveaway event by the name of «Sendvič iz Snova» (eng. «sandwich of your dreams»), which was successful. Apart from the concept, we also created visuals and illustrations that were used along the whole concept of the event. It takes time to make a visual which included foto session, choosing the best photo that was then processed in order to make one attractive visual. We made few versions of square visuals for Facebook posts and few for Facebook cover photo. 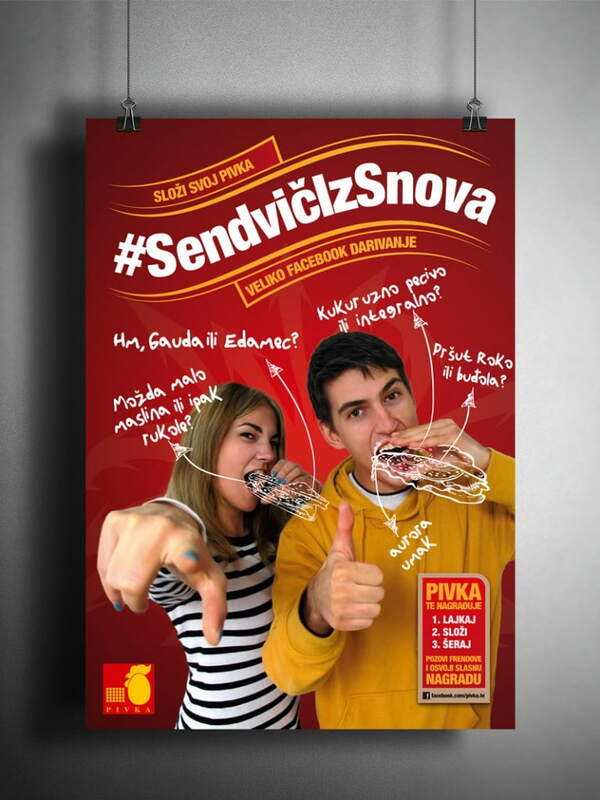 With digital matrials, we have also prepared visuals for printed materials such as a big flyer and a sticker with a hashtag #SendvičIzSnova.